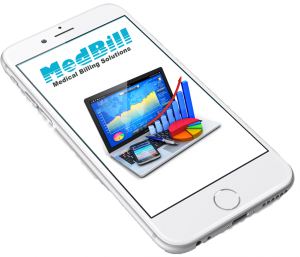 The benefits of outsourcing medical billing is not a new concept by any means, in fact, at MedBill, we have been running our business with a focused vision since 2005. However, outsourcing may be new to you as a practice. You may be looking to step into this practice and you’re trying to understand the benefits, the drawbacks, and who really knows what they’re doing when it comes to medical billing. MedBill has been for some time and continues to be the industry leader in this field, and the reason is simple. Our focus since we began operations has remained the same: To treat each client as though we are their own billing department. We also take time to find, recruit and train the right employees for our business, whose belief in client care lines up with our own. When we reap the successes of our labor, we share the rewards amongst our staff and our industry. That’s it. We’re here to serve you, and our strong client relationships are what have helped keep us on top of the leaderboard. Now that you know a little about us and our practices, let us explain how we can help you run your Medical Practice more efficiently. Every great doctor knows that a huge part of your business is not just in addressing a patient’s medical issues, but equally important is the quality of interaction and relationship between doctors and patients. It’s the relationships that you build that make our practice what it is, and keeps patients returning for years. When you decided to practice medicine, you didn’t sign up hoping for the opportunity to spend hours and headaches on chasing up claims and payments; you likely chose to follow this career so you could help others. If you continue carrying the burden of following up with claims, chasing payments, contacting insurance companies, whether it’s you making the phone calls or just dealing with the overall weight of the issues, you are not able to give your best to your patients. Not only does it reduce the work your already busy staff has to do, but it relieves you of the burden of bringing in monies owed. We take care of that for you, because we believe that happy doctors make happy patients and happy patients mean better business. 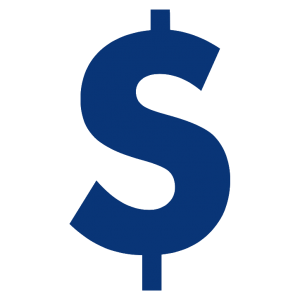 The importance of cash flow in a medical practice cannot be understated. The level of cash in the business account will greatly impact your bottom line, for worse or for better. That’s why it’s important that you receive reimbursements for services rendered in a timely fashion, with the maximum repayments possible. Here’s where we can help you. When you let us handle the claims, we are able to submit them faster, and with a guarantee of fewer errors. Remember that this is our only job, so we can submit claims efficiently, and, with the input of our dedicated Document Review Team, we can ensure that each claim will be checked for errors before it goes out, because we know that errors can result in denied claims. Fewer errors mean more payments. As we focus on sending out claims and bringing in the payments, we take the stress of having to make numerous calls to insurance companies and payers from you. We do the chasing, all you do is receive the money you are owed. Not only do we make sure you continue getting those reimbursements, but we also have seen an increase in profit for medical practices when we take on the financials. We are able to bring in more repayments; meaning that you have more money to spend on the latest technology, high quality supplies, or whatever else it is that your office needs to grow. The most successful practices are able to grow because they bring in enough profit to develop, not just scrape by with enough to pay salaries and other basic costs. With the increase in competition and growth in patient knowledge, a competitive edge is advantageous and almost necessary to maintain your current business standing. Whenever a business is buying into a new program, they will always consider the financial benefits against the cost of investment – it needs to be done. 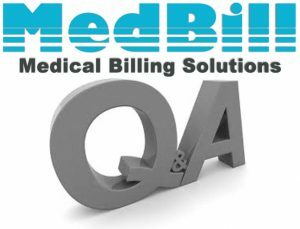 So when considering outsourcing the medical billing process, you are likely to consider whether you will actually save money in the long run, or if all the money will go to us. It is important to consider all factors when counting the cost though. Your payment to us is always and only a percentage of the successful claims we bring in, which does mean that the more money we bring in for you, the more money we make. So you could say that we have extra incentive to chase the maximum number of claims. Additionally, you must consider the cost to your practice of paying the salaries of office staff that are focused on medical billing; the health insurance you provide for them and any other benefits they receive from working for you. When you weigh these costs against the amount of money their role allows them to bring in, you’ll find that on average 30 and 40% of those collections will go back into the process to perform billing. Money earned goes into paying salaries, buying and updating billing software, staff training and any other costs accrued from running this part of your office. What you pay to us will never equal or supersede the cost of taking care of your own medical billing. If your practice hasn’t already switched to outsourcing your medical billing, but you’re now ready to do so, contact us, the industry leaders to see how we can benefit your medical practice specifically, and how you can move forward to become more successful in what you’re already doing so well.